Living inside the Jewish ghetto in Esties, Poland is difficult for everyone, but especially for Max Rosen, 11, and his younger sister Zena. Their mother had died a while ago, and then, the Nazis had taken away their father in the middle of the night. The children are scared and hungry. Before she disappeared, his Aunt Hannah had told Max not to let the Nazis take his hope away, too, but that is pretty hard to keep hold of now. When Max and Zena noticed a bush full of ripe raspberries just outside the barbed wire fence that surrounded the ghetto, they couldn't resist them. But they couldn't reach any, so, with the coast clear of any Nazi soldiers, Max decides to slip under the barbed wire just for a moment to get some berries for Zena. And those berries are good, right up until the moment that a Nazi soldier points his rifle at Max's head. Barking commands, the Nazi marches Max away from the ghetto. On the way, Max and the soldier hear a noise and both realize that Zena is following them. When the soldier aims his rifle at her, Max, with sudden, angry strength, throws himself at the soldier, who falls and gets shot in the leg when his rifle goes off. Max and Zena take off as quickly as they can run. They decide to rest in a wheat field, but are woken up by a farmer with a rifle, who orders Max and Zena to follow him. But the farmer has kind look in his eye and tells them they have to go, the Nazis will be searching the area soon, a train load of supplies had been blown up that night and they were angry and looking for the people who did it. He feeds them, then takes them to his hayloft, where there is a secret compartment for them to hide in. Sure enough, the Nazis arrive, bringing their vicious dog to sniff out anyone hiding. But the farmer seems to be on good terms with them and, after they do a cursory search, he manages to get the Nazis out of the barn. Shortly after they drive off the farmer lets the kids out of their hiding place and, what a surprise, after he removes two planks of wood, out step three shadowy figures, each with a rifle over their shoulder. Surprised, Max realizes that they are the men who blew up the train. 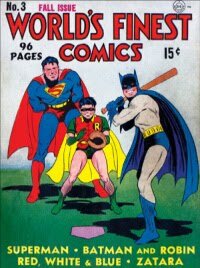 But that isn't the only surprise these resistance fighters have for Max and Zena. I Survived the Nazi Invasion, 1944 is the 9th book in the I Survived series by Lauren Tarshis. Like its eight predecessors, it is intentionally told from the point of view of a young person, much like the one who would be reading this book. Though he is often afraid and confused by what is happening, Max is, nevertheless, a nice role model of strength and resilience in the face of fear and danger for readers of this book. And a great older brother, always conscious of having to watch out for and protect his younger, still impetus sister. But the other part of this story are the partisans. What courageous people, to risk everything, to live in secrecy in the forests and woods of Europe in order to help thwart the Nazis. I Survived the Nazi Invasion, 1944 is chapter book with very fast-paced action. There is some violence in the novel, but it is kept to a minimum and not terribly graphic. 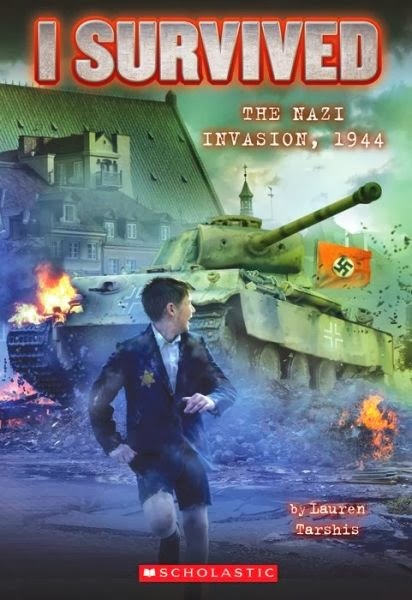 This is historical fiction, but when I read the part of the title that says "the Nazi Invasion, 1944" and then discovered that Max and Zena were living in a ghetto in Poland, I was sent back to my history books. I thought all the ghettos were liquidated by 1943, but it turns out the some ghettos in Poland were actually converted to concentration camps until the people in them could be moved to a death camp. So, I did, indeed, learn something new in this novel. The novel is well-written, the characters fleshed out mostly by Max's memories of what life was like before the Nazis invaded, so we also get to know what his father and his Aunt Hannah were like back then. There are some coincidences in the story, which I never find realistic, even though I know they do happen...occasionally. This is a nice book for young readers who like historical fiction, who are interested in WWII and who may be learning about the Holocaust in school. There is a nice, age appropriate Holocaust and World War II timeline, as well as a list of resources for readers who may want more information, and includes a link to the Jewish Partisans Educational Foundation where you can read about what real Jewish partisans did to sabotage the Nazis, a resource I used all the time. The hole series is great but I think this one is the best.